May it be filled with lots of sweet corn. 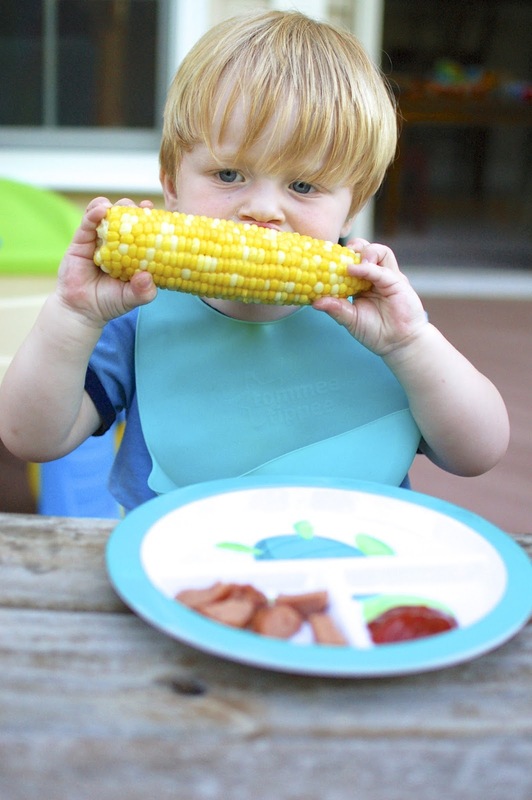 We really love sweet corn in the summer. 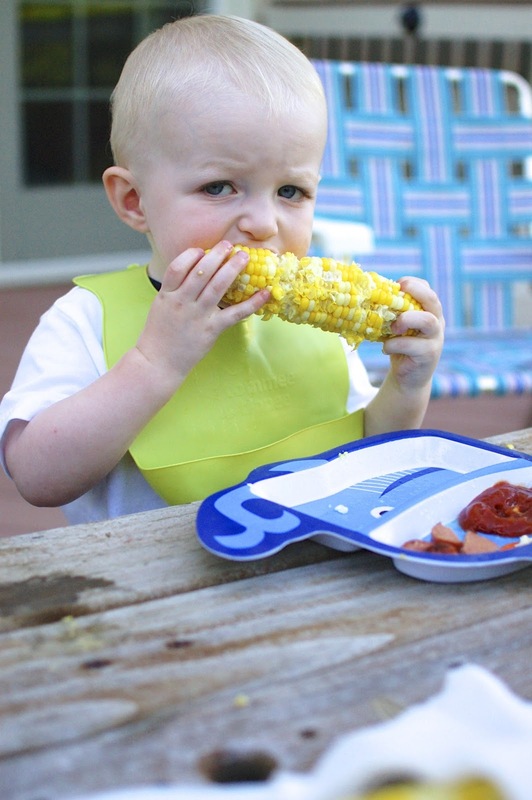 It's what I grew up with in Ohio and Benjamin can attest, my family really loves sweet corn. Luckily Anderson loves it too and is known to need his own two ears. I've gotten into the habit of taking the corn home to shuck. It's a memory of mine sitting on the back porch with my grandpa shucking corn and I want Anderson to remember shucking it too. During the process he asks for a bite and finally about three times in he stopped taking some bites and now knows we cook it then put butter and salt on top. Delicious.